Instagram fans have something to be excited about after details emerged that the photo-sharing app is testing out some cool new features that will make the user experience easier and more fun. As with all other previous new features on Instagram, Facebook and Twitter, only a select group of people will get to try them first before they are rolled out to the masses. The standout feature which has caused the most excitement is a ‘regram’ button. This feature will be similar to the retweet feature on Twitter. When someone you follow regrams a post, you’ll be able to view it on your timeline with the details of the user who posted it and the user who regrammed it. The regram button will be located right next to the like, comment and send buttons. This feature will solve a problem that has been a thorn in the flesh of Instagram fans for a long time. Any user who wanted to share a post had to first save it and then post it as their own. An alternative was the use of third party applications which is a tedious process, not to mention the security issues with many third party apps. This feature has been in testing since the beginning of the year. You get to create a group which you add your closest friends with whom you can share content with exclusively. Whenever someone posts on the group, every member gets a notification. Currently one has to manually select the contacts you want to share exclusive content with every time but this will be a thing of the past once this feature is made available to the masses. GIFs have become synonymous with the internet and are the source of endless laughs. Instagram is finally integrating them into the features. GIFs can be added to a user’s stories or the regular posts. The GIFs are being sourced from Giphy but at the moment are just cartoon-based. One can only hope that they work on this before rolling them out. Instagram Stories only last for 24 hours, after which they disappear permanently. This may however change once a new feature that allows archiving of stories is rolled out. 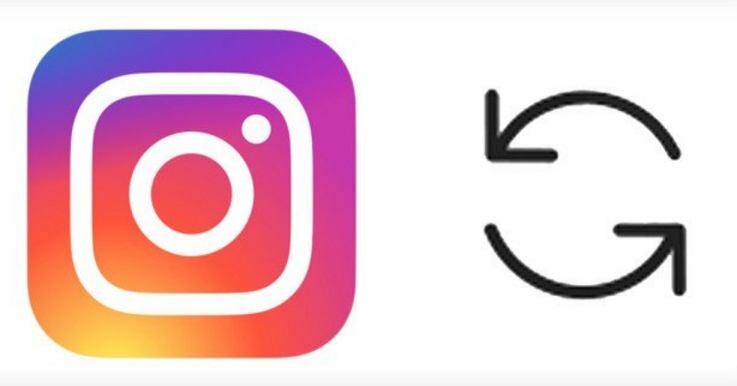 This cool new feature will allow a user to save videos and pictures before they are posted on Instagram Stories on the pone’s camera roll. This will give users the opportunity to store their memories in the app and be able to view and retrieve them later. Some of the other features include the option to share posts on WhatsApp, without having to take screenshots as has been the norm. This is only appropriate as the two applications are owned by Facebook. iPhone users will also not miss out on the action in the future with the roll out of a new iOS beta app. This will give iPhone users the opportunity to test upcoming versions of the app before it is released so they can offer feedback. Android users have had this option for a long time. Users will also be able to keep up with interesting posts from popular events without having to follow people. This is made possible by the new feature which allows a user to follow a hashtag. There is also a mysterious ‘add coffee’ feature that no one is yet to know what to use for. It appears when a user is sharing a post on his/her feed. A lot of changes seem to be coming the Instagram user’s way, are you prepared to take advantage of them? Regram should be great feature. I bet it will help us reach new users and gain more followers easier than now. Something like “share” on Facebook. Who me? I already use gifs in my meme page. Maybe that’s why it keeps getting banned.